During Intel’s record fourth-quarter earnings call, Krzanich noted that Intel “is in a very different place than it was even 12 months ago,” participating in a broader range of devices and product segments. “These are the trends we’ll build on in 2015, bringing us closer to our vision: because if it’s smart and connected, it is best with Intel,” Krzanich said. And that’s an important statement, because Krzanich is putting his company’s money where his mouth is. How else to explain a business unit, the Mobile and Communications Group, which had negative revenue of $6 million? Or how Intel continues to publicly beat the drum in embedded devices, from its Basis smartwatch unit to its work with Opening Ceremony or its lightning-fast progression in embedded chips, with Quark, Edison, and now Curie? Intel’s money machine: the data center. But as Intel reinvents itself for the Internet of Things, it’s still reporting record revenues. It’s still dominating the server market, which reported $4.1 billion of revenue, a 25 percent increase in revenue from a year ago, when the average price of an Intel server chip was 10 percent lower. Sales in its PC Client Group edged up 3 percent even as the PC industry declined overall. Let’s face it: in servers, Intel has a near monopoly. AMD’s market share is less than 10 percent. And although there’s some fear that ARM chips may cut into Intel’s dominance in certain segments, Intel’s Data Center Group is a cash cow that looks nigh unstoppable—and really, that’s why Intel is too. What that money buys Intel is time. If you’ve been following Intel, you know that the company has struggled badly to keep up with Qualcomm, the Intel of the smartphone industry, whose president, Derek Aberle, pointed out that Qualcomm is on its seventh generation of application processors that have been integrated with cellular radios. That was a dig at Intel, whose first generation chip, Sofia, is in qualification with hardware partners and carriers—and with just a 3G radio inside. (An LTE-equipped Sofia chip is due in the second half of 2015, Krzanich said.) Smartphones demand that cellular radios be integrated into the application processors that power them, for reasons of cost and space. No matter the venue, Krzanich always seems like he has a new embedded processor in his pocket. And Intel's communication business will suffer in the short term. But eventually, Intel will sort out its issues and begin making inroads. Intel has struck deals with Rockchip and Spreadtrum, two third-party chip companies, for them to flood the market with low-cost versions of Sofia later this year. That will open doors for Intel in the tablet space that customers want to open, but can’t afford to. And that’s the other truth in the computing industry. Intel essentially has bought its way into some markets with a tactic the company calls “contra revenue” dollars that pay for some of its partners’ costs, marketing and otherwise. But hardware makers still value the Intel name. So far, the pillars of Intel’s success have been the PC, especially the notebook, as well as the tablet. PC prices have now sunk below $200, but Intel has ridden out the storm. Intel began the year expecting its PC Client Group’s revenue to decline in the low single digits. Instead, Intel exited the year with a 4 percent increase in revenue and a whopping 25 percent increase in operating profits. Tablets and notebooks see similar trends, Krzanich said: yes, some dirt-cheap tablets will push the average price down below $100. But enough $299 to $399 tablets will be sold to help keep Intel’s hardware partners happy. 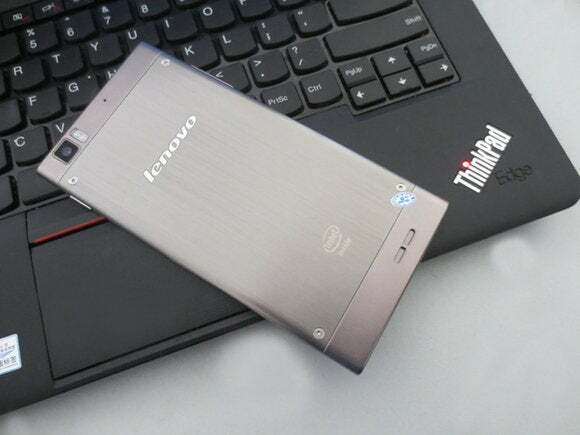 This Lenovo K900 smartphone actually uses an Intel processor inside of it. Eventually, there will be more. And don’t look now, but Intel’s Internet of Things business is at $591 million and rising. So far, Intel’s missed out on the market for wearables, which are powered by TI OMAP processors, ARM chips, and other power-sipping embedded chips. But Intel’s learning. 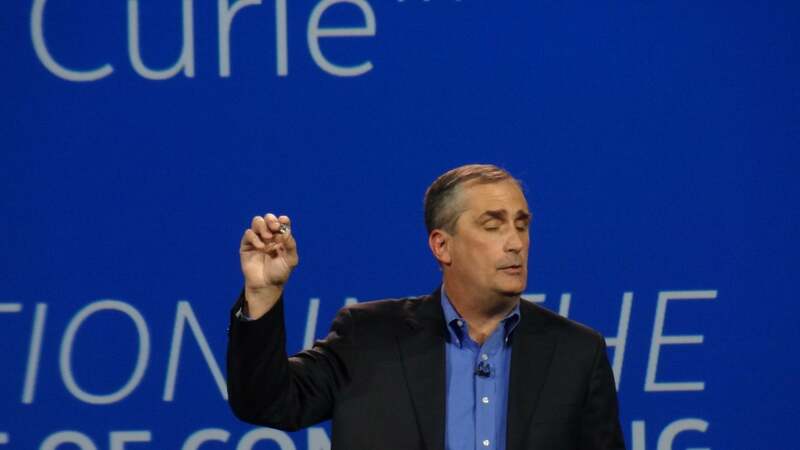 It’s hard to say whether will Intel will dominate the mobile and IoT space as it has the PC. Frankly, it doesn’t look likely. But the point is that Intel has the leisure to engineer what customers want while it keeps printing money in the server and PC space. Eventually Intel will learn how to connect these smart devices. And while the connected devices of tomorrow may not necessarily work best with Intel inside, chances are they’ll work damn good.